We’ve all heard the saying “There’s no place like home.” It’s especially meaningful for one couple, Robert Aleman and Katie Heuer. They both teach in East Austin, Robert at the Alternative Learning Center and Katie at Metz Elementary. Until recently, they were paying an “outrageous amount” for an apartment in south Austin and were commuting 30 minutes or more to and from work. Then, the couple heard about Guadalupe Neighborhood Development Corporation’s Community Land Trust (CLT) program. 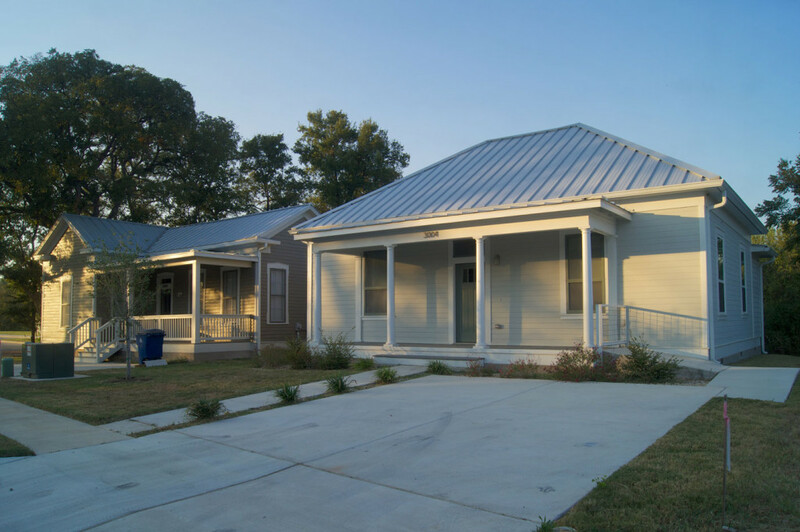 Through the program, GNDC can rehabilitate older homes or build new homes and sell them to buyers who meet the eligibility requirement (income at or below 80% of the Austin Area MFI). GNDC is focusing its next phase of the CLT on new construction development at Father Joe Znotas Street located at the Guadalupe Saldana Net Zero Subdivision. At this time, there are twenty-five additional lots near Robert and Katie’s home designated for affordable CLT home ownership. The buyers pay no more than 30% of their gross income toward principal, interest, taxes and fees. GNDC gives the highest priority to buyers with generational ties to the neighborhood. The mortgages are affordable for the buyers, largely because they’re leasing the land, which is typically a considerable expense when buying in East Austin. 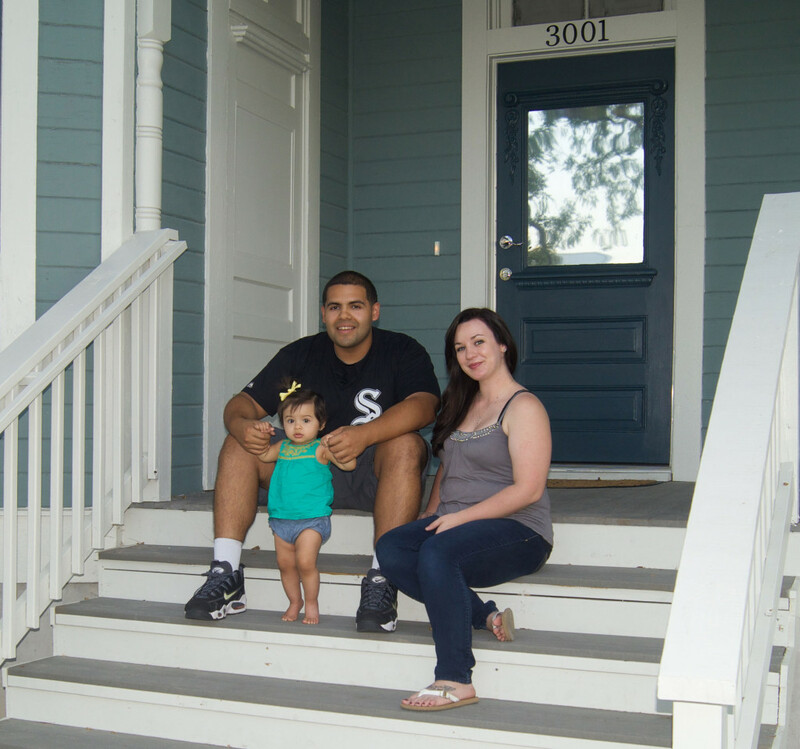 Last month, Robert, Katie and Evelyn moved into their new home. It’s one of four historic homes GNDC moved to the the subdivision from the Rainey Street National Register Historic District. Austin’s City Council established a Rainey Street Preservation Fund and GNDC secured $500,000 from that fund as well as a $100,000 private donation to pay for most of the relocation and rehabilitation/remodeling costs. The family’s 3 bedroom/2 bath home was originally built in 1900. It’s now completely restored with original wood floors. One of their favorite parts is the large yard, which is getting a lot of use with frequent family visits.